There are two types of entrepreneurs who connect an organizations with two consecutive phases of growth - the first is the developer and the other is the builder. The provider is the one who has given the lands, the funds and the authority to the builder. The builder is the one who brings the architects and builds the building. And between the two people is the bridge. This bridge is built by trust. The developer has been a builder before, and is the more powerful of the two. As both start the journey together, the small conversations reflect the ups and downs, the progress and setbacks along the way. This trust is tested sometimes. But it is this trust survived by the tenacity of both that would make this organization grow. And these conversations little by little have given shape to a theory. The theory is called the 'bridges theory'. What the builder sees, the developer does not worry about. The developer wants to see the building, and he funds that. So, the builder's vision is not what really counts. The building is what counts. And this throws a bipolar vision on the enterprise, apparently. And that becomes an inevitable theme of conversation between them. And the conversation is about how the builder wants funds or moves towards the next step. Because, the translation from vision to reality is always incremental. For the one who can see it as a dream, virtually to the one who has to see in reality. So the bone of contention, nay, rather agreement is always what is called the 'bridge'. As both see the bridge together, they decide to cross. One to fund, and another to build it - as they cross. The conversation starts with why the bridge is needed and how the bridge is to be built. And finally when would it would be available for them to cross. As they see the purpose commonly together, the bridge is envisaged, built and crossed. Then comes another bridge. This may sound tactical, but the bridge is what makes the journey possible. There are frustrating times too. The idea of where the real bone of contention and final conclusion can take lot of emotional energy out. And this is the sometimes the limiting factor and perhaps, the most important factor in the success of the organization. Such is the importance of that 'bridge' between the developer and the builder. #Startups : The Focus Is On You! It is about exactly 90 days since we became operational. It has been a mixed bag - there have been highs and lows. As we approach a small milestone - our website launch, there was one googly I had to deal with. What is the USP? Was the eternal question? A googly is about the unexpected. And the googly is a simple question - how are you different? 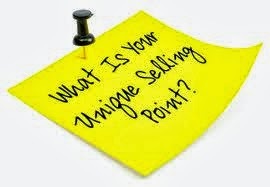 What is your USP? There are so many others like you - with varying degree of success. How will you articulate your presence? The questions were about Me? As we try get our act together, these questions remained unanswered. Because we knew what we were upto, where to reach, and how to reach as well. It is a journey, but taken step by step. All else was in the business plan. We just had to make it happen. So, after few checks, we started our engine in July. Now we are in October - the season of festivals. The buildings glow, the Gods appear, lights and sound appear, gaiety all around, people seem to be happy - their dress and smiles articulate. Now, the question gnawed us for sometime. If we KNEW everything, why was this question of finding the uniqueness different? Every other enterprise in this crowded space have articulated some form of aspiration, excellence about how good THEY are. And in a conversation I told - ' the concept of USP is actually self-defeating. Everybody is the same, in that they are unique - for better or for worse!'. It is the actual experience one would create that would be the testimony of their uniqueness. But how would somebody articulate uniqueness even before somebody got the experience? And the answer dawned. And boy, was it simple?! It was, indeed. The focus is on You. You - the customer and You - the employee. And all processes, conversations, deeds would emanate from focusing on You. That is our commitment. We just focus on You. And we walk the talk, like everybody else. As we prepare to launch our website - http://careers.kyyba.com - a simple website, but will grow more meaningful over the next few months, we simply say - The Focus is On You.